During one scopic drive through the American West, we took a brief stop at the US Army Dugway Proving Ground, the nation's premier biological and chemical defense testing facility. What goes on the ground sounds utterly fascinating and frightening at the same time, but only a lucky few ever gets to see them. For those without the necessary security clearance, TerraServer provides the perfect alternative. 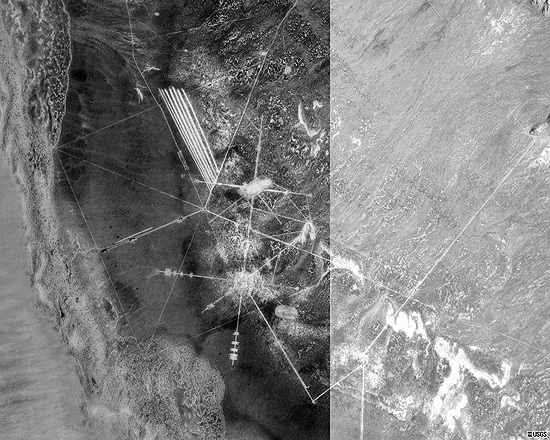 Taking a cue from Polar Inertia, here are some satellite photos of the military installation. First of all, the sights from above are stunning. Despite the fact that they are the landscape markings of killing machines, capable of annihilating the entire global population, they are graphically beautiful. The US Army surely has outdone both Richard Long and Walter De Maria several times over. More sublime (in the true sense of the word) than Spiral Jetty. More relevant than Double Negative. The Department of Defense should definitely donate the site to Dia if and when it's decommissioned. Still contaminated, still littered with unexploded ordnance. 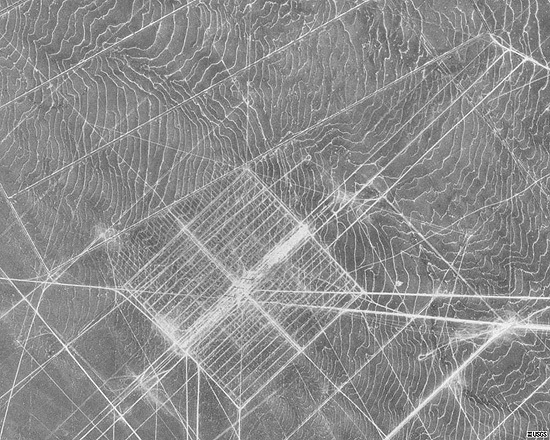 A comparison can certainly be made to Thomas Jefferson's Land Survey grid system imposed over much of the American landscape, overriding topography and pre-settlement cultural and ecological systems. 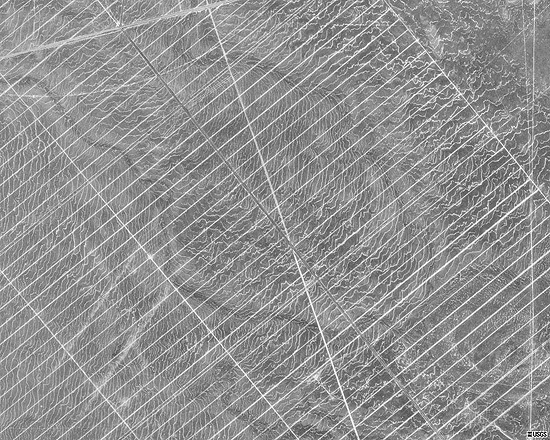 Like its counterpart, the landscapes of lines at Dugway are governed by analytical methodology, mathematical hierarchies, mechanics, trigonometry. 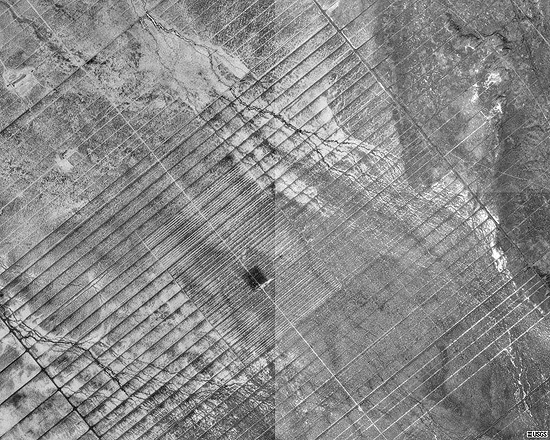 But rather than being an expression of democracy, settlement, domesticity, even the heroic rural life, this Jeffersonian grid has mutated into a sinister expression of global terrorism, surveillance, and chemical and biological warfare. The Apocalypse distilled as geometry and algebraic equations. "More sublime (in the true sense of the word) than Spiral Jetty. More relevant than Double Negative." Come now, Alex, really? I don't mind a bit of colorful prose but how can you measure concerted acts by individuals against a massive bureaucratic machine? And yet one could hypothesize a rogue pilot, off lonely on his flight runs, getting the landscape architecture bug and opening the hatch... Not a bureaucracy at all, then, but the fragile inclination toward aesthetics that even a Top Gunner would feel, drifting over the ranges, spying the topography, adding his garden of dents. The scars as signature. Not a sky-writer – the heroic pilot up writing words alone in smoke across the heavens – but an earth-writer, inscribing his message through violence into the planet itself. 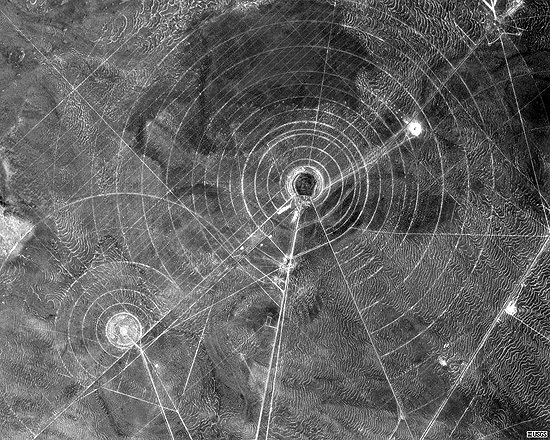 How would it complicate things, for instance, if Michael Heizer started off his adult life as a test-pilot at Dugway? 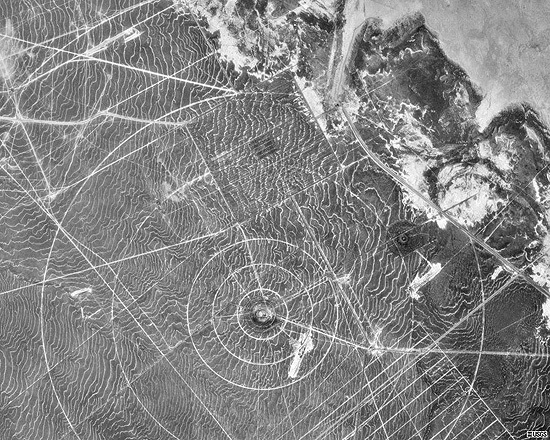 Or if, in some epic Studs Terkelian oral history of the Dugway range, we could learn that no one really wanted these destroyed vistas – but a man of great charisma arrived, and insisted on altering them... Artistry – subjectivity, even – as the origin of the US military landscape. Dugway Proving Grounds outside of Wendover, Utah, has been spraying something over the skies of Elko County, Nevada, starting about a month ago. I just photographed no less than ten jets leaving what can't possibly be normal exhaust trails. They're about four times wider than the trails we're all used to seeing. Plus, we never get that many jets through here, at most about one a day. 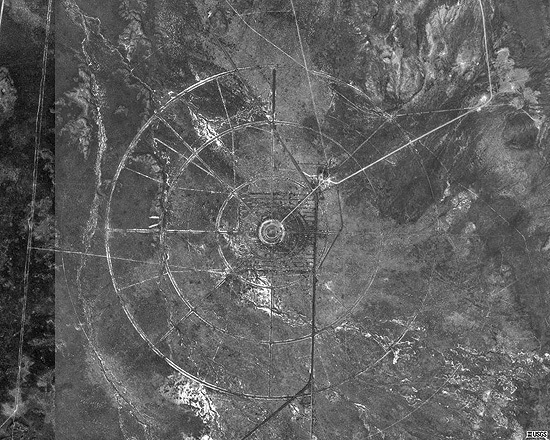 Dugway and The Newly-Formed Communist Government Of America are up to something very nefarious. And I know these jets must be from Dugway because they're the closest commie base. I'm writing all my local, county, state, and federal officials. You need to start making your voices heard about all the anti-American, anti-freedom crap that's coming down. Google "chemtrails" and see what you come up with. I'm emailing out my photos as we speak. Harold Dean Berry - Wells, Nevada.